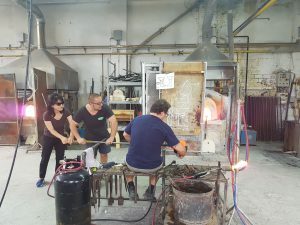 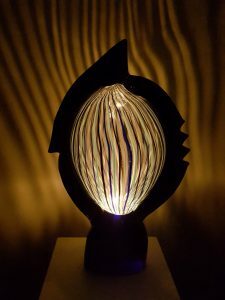 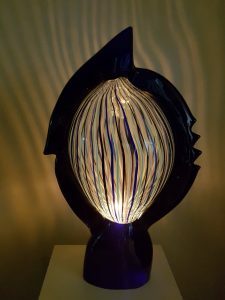 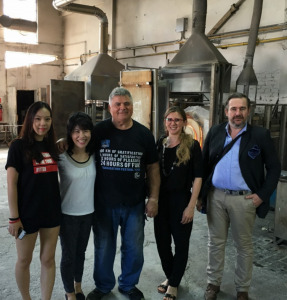 During the period of residency the artist had the opportunity to work with the Studio highly skilled glass maestros, Silvano Signoretto and Andrea Salvagno, learning more about Murano glass and its unique realization process. 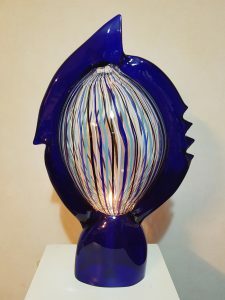 From this experience the work “Propose” was born, an artwork made of two different images harmonized into one with soft and tender curve line . 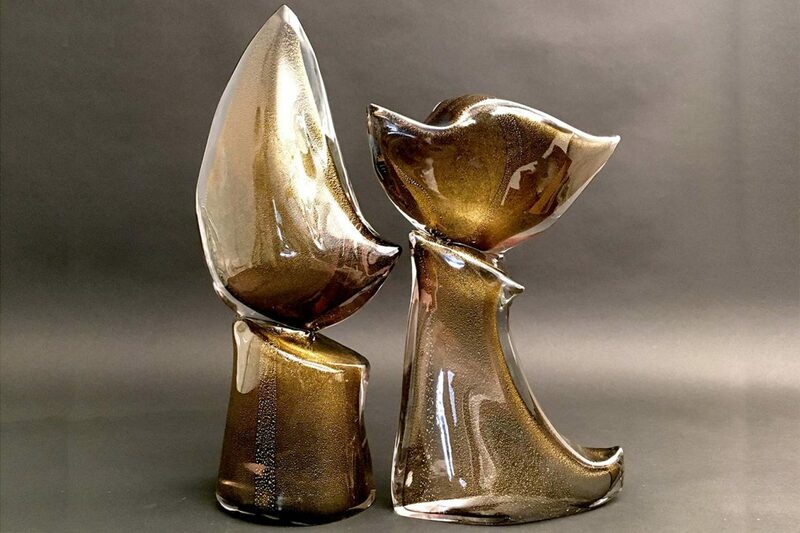 The two pieces that compose the work represent a man who is blunt and assertive and a woman who is considerate and talkative, but together they make a single perfectly harmonized sound.